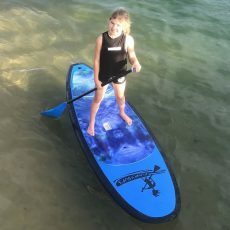 The perfect SUP for a Child to learn the techniques of paddling is a Soft Top Paddle Board. 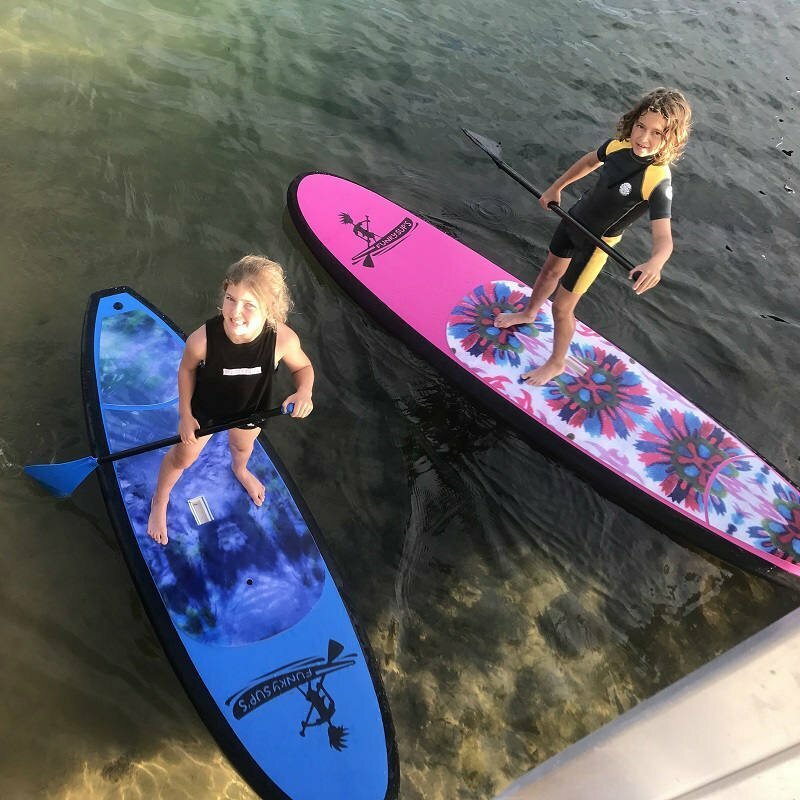 Ultra durable with a high quality core these kids boards are light weight and so easy for the kids to handle on there own. It really does make us smile seeing how kids as young as five can easily turn these in the water. Not to mention take them wave riding. 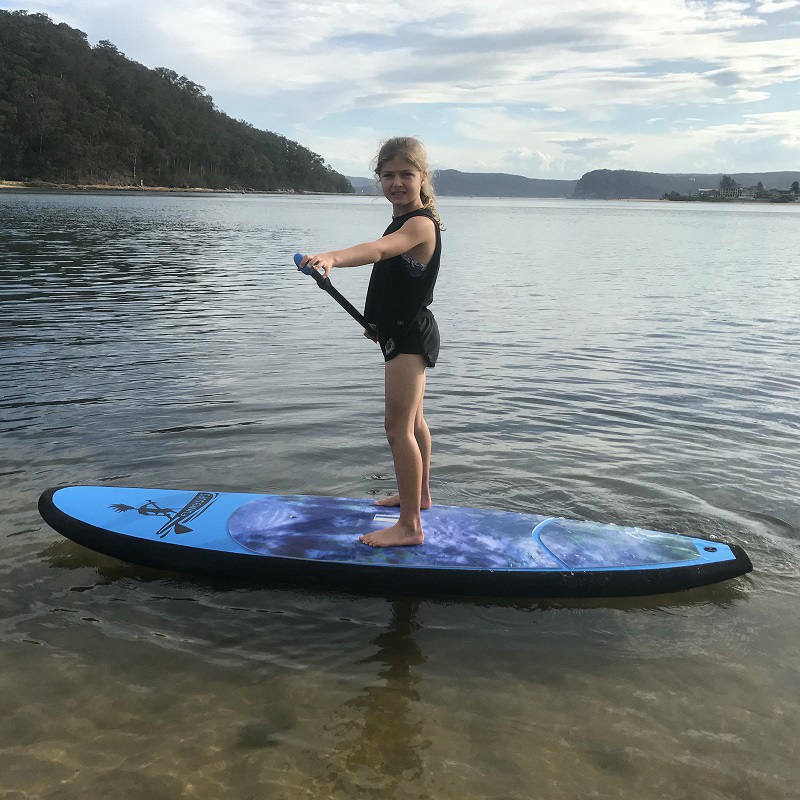 The Funky SUP soft top range is built better than most Soft Top Paddle Boards on the market with a Full EVA deck with the all important black soft bumper rail. The strength of the board comes from the EVA deck having a layer of glass for added strength. Designed to be super stable with loads of flotation and the slick skin bottom allows for you to glide easily on the water. 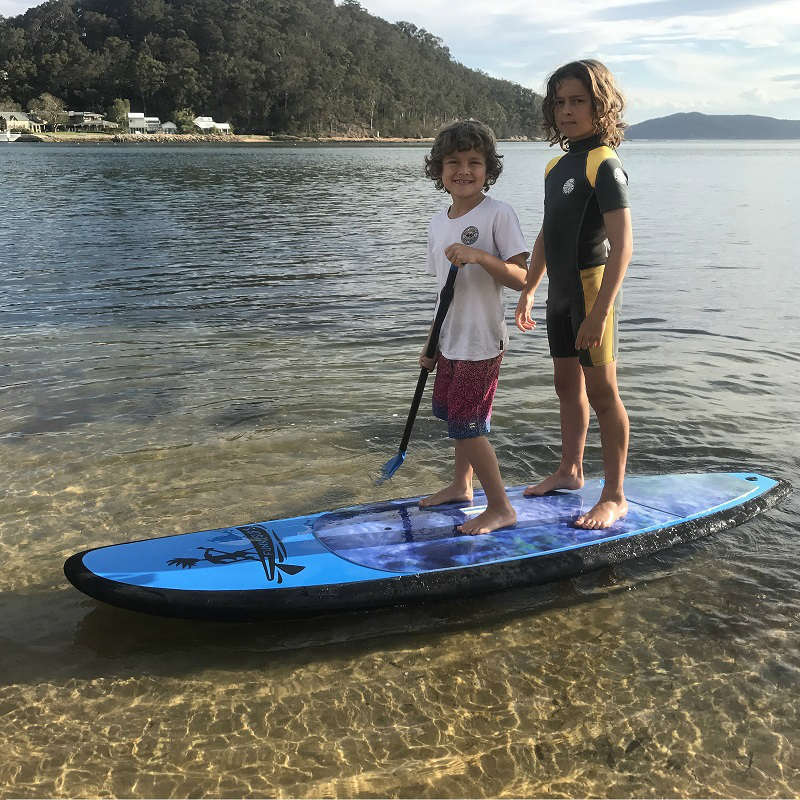 This Soft Top Paddle Board offers a scaled down size for a child to learn on a low impact board. Lightweight 24kgs/sqm EPS high density core. The core is obviously the backbone of a board and so vital to the production of a quality SUP. Cheap Paddle boards do not last and so make sure a SUP has a high density core.